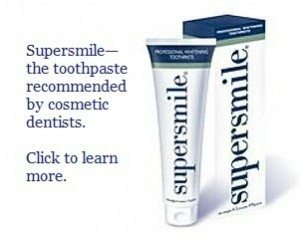 I am a 54-year young female and would like to whiten my teeth. I have a filling in between my two front teeth. It, of course, is not the exact same white as my teeth. Will whitening gel whiten the filling? If not, what are my options? Thank you in advance. What you do if you whiten is to first do the tooth whitening, then wait about two weeks and have the filling re-surfaced or re-done to match your new whiter color. The filling won’t whiten. And you need to wait a couple of weeks after finishing the bleaching before doing the fillings, because it takes a little while for the color to stabilize after bleaching. If there is tooth decay present, this has to be filled before it is safe to bleach. Then later, the fillings need to be re-surfaced, or the color won’t match. If there is no decay, then just wait and do the fillings later. GlamSmile is a new technique that claims to save a lot of money. Dr. Hall has some very specific concerns with the technique. I made the costly investment to have a new smile, and when I had the try-in, the Lumineers were too bulky. The dentist thinks they’re fine, but they’re so big and bulbous, I went out of the office in tears. What can I do now? I have heard that MAC veneers are the best available. Should I tell my dentist that this is what I want? I need fillings on my front teeth and so I want tooth whitening and fillings. How should my dentist do that? What about DaVinci veneers? That’s what they use on ABCs Extreme Makeover. Click here to visit our blog, where Dr. Hall answers hundreds of questions about cosmetic dentistry.